In order to prevent this, an initial wave of 270 US military personnel were deployed in early June to support the transfer of staff from the US Embassy in Baghdad to the US Consulates General in Basra and Erbil and to the Iraq Support Unit in Amman. They were followed by further reinforcements to support the Iraq military, as along with a drone presence to help them run effective counter-insurgency operations. After a long drawn out conflict in Iraq costing billions of dollars, followed by a similar war-amongst-the-people type conflict in Afghanistan, Western governments have little appetite for full scale military deployments. They’re expensive, from a human and economic perspective, and as we’ve witnessed in Iraq over recent months, not a long term solution. Even though billions have been spent training the Iraq army, it is not yet up to the task of deterring organized rebels. The current Iraqi situation combined with events unfolding in Ukraine indicates the need for a new type of fighting force—the expeditionary army. No longer will we witness large scale deployments of troops into foreign countries. Smaller, specialized units with a training or support remit will prove more effective. Not only will they offer finely tuned support, but they’ll be agile and innocuous, which will assist in diplomatic relations and hopefully relieve tensions between the dispatching and receiving countries. However, this change in strategy greatly affects the tactics employed once on the ground. Unlike in Iraq and Afghanistan where huge forward operating bases emerged from the desert sands, these expeditionary forces will more often than not find themselves alone with limited in-country supporting infrastructure. There certainly won’t be an established radio communications bubble. Forces will rely on beyond line-of-sight communications to maintain contact with HQ and securely submit situation and contact reports. The very nature of expeditionary forces means it will be hard to budget for them. A drawn out combat operation has obvious operational requirements that can be discussed by administration and costed accordingly, but even then, adapting military assets is expensive and takes time. The allied Land Rovers used in Afghanistan are a good example of this. Insurgents increased the use of improvised explosive devices as they realized allied transport was vulnerable. Reacting to this took time and resulted in troops strapping scrap metal to the bottom of their vehicles to deflect the blasts. This was a situation in which allied militaries had time to procure a suitable solution but still struggled. With the advent of the expeditionary force, time is not an available luxury. Instead, militaries need to approach military procurement on a pay-per-play basis, purchasing exactly what they need—when they need it. This would be difficult for a larger military, but buying mission critical equipment for a smaller force consisting of a few hundred troops is a realistic proposition. This is especially true of military communications and tracking solutions. Without an established military presence in the destination country, communications will be limited. The nature of most operations will mean a force will likely be entering a destabilized region with minimal infrastructure and won’t have an opportunity to install combat net radio, or even send a text message. If they have HF radio, they are faced with the prospect of limited functionality as atmospheric conditions can render even HF radio useless. Radio will be vital for the troops on the ground moving within close proximity to one another, but in order to coordinate effectively with HQ, and contribute intelligence to the common operational picture, secure BLOS communications is required. 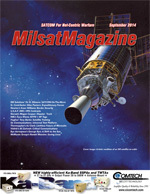 Allied operations have traditionally struggled with limited MILSATCOM availability—procuring private sector satellite data services from companies such as Inmarsat and Iridium, in the event that an expeditionary force needs to be deployed, makes financial and operational sense—it doesn’t need to be maintained when not required, it’s interoperable and data can be encrypted whereas satellite phones are typically unsecured—even if the expeditionary force consists of multiple allies, they all benefit from the same secure satellite service and equipment. 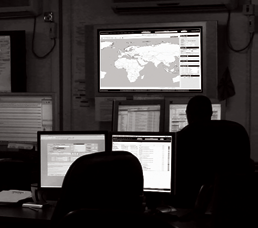 Commercial off-the-shelf (COTS) solutions are also suitable for a variety of missions. The current situation in Baghdad is a good example. As the equipment is quick to procure and can be used anywhere in the world, it’s easy to supply civilians with compatible devices. When moving embassy personnel for example, you can equip them with SATCOM devices and set up a geofence on your blue force tracking (BFT) software. If any of these users then encounter insurgents, or stray from a convoy traveling between provinces, they can quickly and easily hit notification buttons which route situational data into the common operational picture alerting all friendly forces in the nearby area. Future expeditionary forces will often be reacting to global events. Insurgents in Iraq and militia in Ukraine don’t wait for the latest procurement cycle to reach its conclusion. Decades ago, if your one-time pad was captured by enemy forces, they could decrypt all communications and the operation would be compromised. 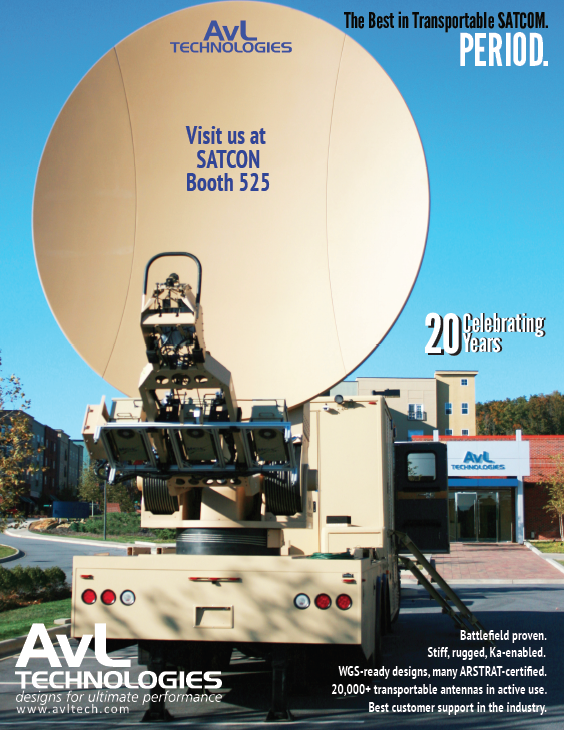 Nowadays, when combined with the right software, SATCOM devices can be located and zeroed. In addition, they can also be AES256 encrypted—equivalent to US ‘Suite B’ security—almost impossible to crack. I was responsible for MoD communications throughout a large part of the conflict in Afghanistan and I was also heavily involved in the UK’s Iraq deployment, as well. In both conflicts, we faced the same problem—effectively and securely communicating with allies. When a European helicopter is hovering over a US Humvee and neither can communicate with one another as they are both using different encryption keys, then mission effectiveness is severely compromised. Expeditionary forces won’t be dipping into an allied equipment pool (even allies are reluctant to share technology), but they can procure interoperable solutions quickly and easily from a single supplier and share the same encryption keys. Nation states are learning that occupations are not the way forward. Iraq has demonstrated that it doesn’t lead to a stable environment—once the US forces left the region, even though they invested billions of dollars in training and technology for the incumbent Iraq army, they were soon required to return and support. To ensure long term stability, armies will need to deploy small groups of military personnel. 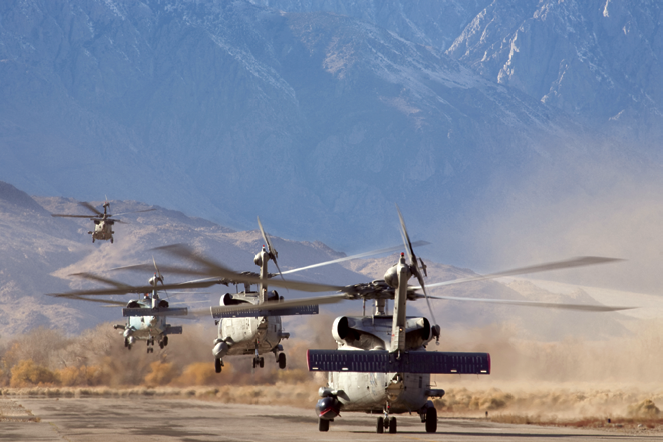 Whether they act in an advisory fashion or offer technology and military support, the communications they use will change and weigh in favor of quick to deploy, easily attainable BLOS data communications as opposed to infrastructures that require extensive setup up and maintenance. Giles Peeters is the Defence Sector Director at Track24 Defence, and is the driving force behind the company’s commercial-off-the-shelf (COTS), beyond line-of-sight, blue force tracking solution, Situational Command & Control (SCC) TITAN.